Speaking of water...we're in the midst of a rainstorm here in southern California. 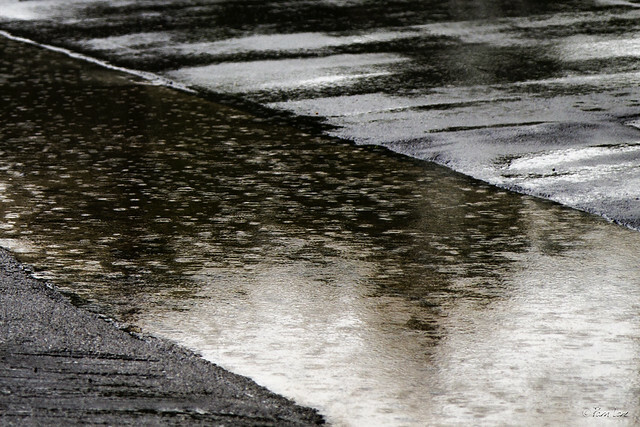 Rain in the city means a lot of surface runoff, which occurs when rain comes down faster than the soil can absorb it. 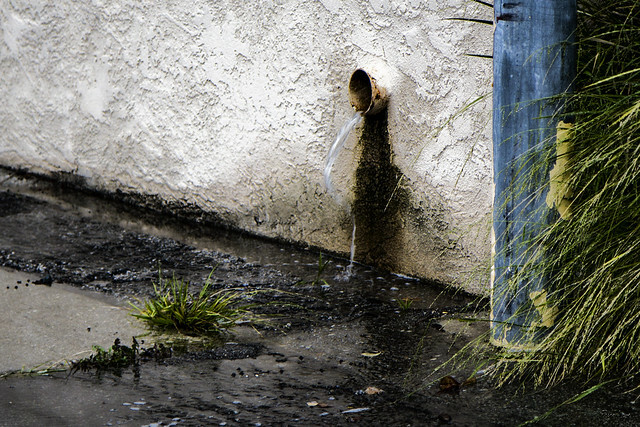 This occurs more often in cities because of all the roofs and pavement that funnel the water where it can't be absorbed. In fact, surface runoff in the city is a primary cause of flooding. So where does all this water go? Except for specially designed soak areas like I showed last week, most of it just flows down the drain and back into the ocean instead of back into our groundwater supply.